The Washougal School District Board of Education consists of five citizens of the school district elected from director districts for a four-year term. Any resident may run for election to the board providing the candidate meets certain legal qualifications. Board members serve without pay. In Washington, education is defined as a function of the state government by the constitution. Legislative actions have created school boards to serve as agents of the state to administer the school functions which have been delegated to local districts. School board members are responsible to the voters and act under the restrictions of state law. The board provides direction for the district, approving policies, making financial decisions, validating strategic planning long-range goals, and approving the budget. The progress of the district is reviewed regularly by the board. The board relies on the superintendent for advice, but final decisions are the responsibility of the school board. 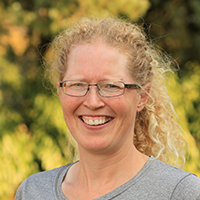 Teresa Lees, a Washougal resident since 1998, an avid runner and mother of seven, joined the Washougal School Board in October of 2014. Teresa joined the board at the suggestion of a friend who felt that she would do well to represent the needs of the community on school issues. As a parent of school-aged students, Teresa uses her experience and perspective as a parent to weigh decisions by the board, such as iPads in the classroom. She stays positive, identifying things that are working well in classrooms and focusing attention on areas to improve. She loves the Washougal community and is proud to serve on the board. Angela Hancock joined the board in September 2018. 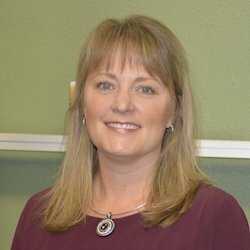 As the mother of two current Washougal students, who also has work experience at several schools, she brings a unique perspective and close relationships with staff and patrons to her role. Angela is excited to work with a group that she respects on what she feels are some of the most important goals in our community. She feels that Washougal is at a turning point in many ways and is very excited to become a part of the process. Angela believes her priorities as a board member include transparent communications, fair representation, being accessible and continuing to be a vested member of the community. Donna Sinclair was sworn into office on December 12, 2017. An adjunct History professor at Washington State University Vancouver, she has worked as a public historian since the late 1990s, and has written about the Vancouver National Historic Reserve and Columbia River History, as well as the U.S. Forest Service. She is currently working with the National Park Service to write a history of Vancouver Barracks. Donna Sinclair earned a bachelor’s degree from Washington State University Vancouver while raising three children as a single parent. She went on to obtain a Master’s in History and Ph.D. in Urban Studies from Portland State University. Because of her passion for education, she is strongly committed to ensuring that all students have access to quality schools. When Cory Chase stepped onto the Washougal School District Board in November 2016 he was following in the footsteps of his father who also served on a school board. A father of two school aged children, he is the Captain at the Port of Portland Police Department and believes the future of a community depends on providing a solid educational foundation for the kids. 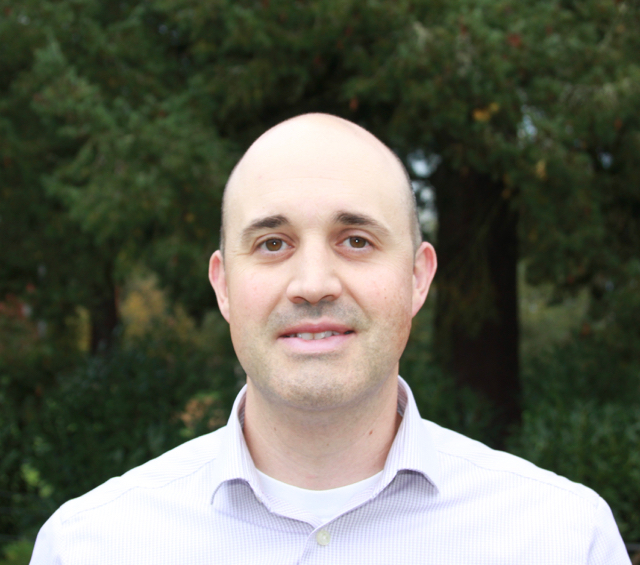 Cory moved to Washougal with his wife, Jacquelyn, in 2012 to raise their family in a good school system and in an area with a strong sense of community. He has coached youth sports, volunteered in the schools and has worked in different leadership roles in public organizations that function very similar to a school district. He considers serving on the School Board as an opportunity to give back and impact the community in a positive way. Even before he joined the Washougal School Board in 2006, it was obvious that Ron Dinius cared deeply about education in Washougal. 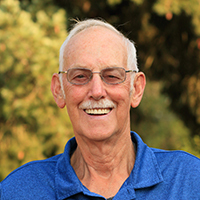 Ron was an active school volunteer and served as president of the Parent Advisory Committee at Cape Horn-Skye where his now grown children attended school. After showing interest in school district matters, Ron was encouraged to take an unexpired seat on the board and subsequently ran for the position at the next election. In recognition of his commitment to schools, Ron was invited to be a charter member of the WSSDA Leadership Cohort Board Governance in 2015. Ron came to Washougal in 1978 as a construction project manager for Crown Zellerbach before owning his own construction business, from which he retired in 2011. When he’s not volunteering for the district, Ron travels with his wife, Tammy, a professional artist, to art shows around the country.